Welcome to this lovely 3 bedrooms custom single story home on private road featuring 2200 sqft with large private bonus room (easily mother-in-law suite /office with private entry) open floor plan with cozy fireplace in living room with hardwood floors, spacious kitchen with large breakfast bar space for family and friends. Dining room glass slider leads out to over sized deck for outdoor entertaining and family time. Master suite offers walk-in closet, large bathroom and glass slider for access to outdoor deck. Plenty of room for parking and unfinished basement for extra storage or wine cellar. The 2. 43 acreage features mature trees and a seasonal creek that usually runs from 2nd rain of season till about march. If you have horses this property allows up to 4 horses or land would be great for orchards/vineyards. 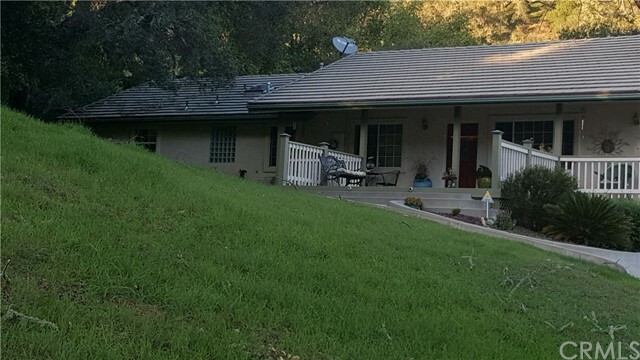 Home is located half way between atascadero and morro bay just a drive away from schools, shopping, parks and churches. Great primary home or second home retreat. Don't miss out come see what this home has to offer!